We take your titles to the most important gatherings of publishers, booksellers, librarians, distributors, rights agents, authors, printers, media, and book enthusiasts. The best foreign rights exposure for children’s books publishers is the annual Bologna Children’s Book Fair. We welcome the opportunity to represent you. You want your book to travel the world and find new audiences who love to discover a new story. It just so happens that's exactly what Foreword does. We're world travelers to the most important gatherings of publishers, booksellers, librarians, distributors, rights agents, authors, printers, media, and book enthusiasts. Let us take your books around the world so you get to new audiences. Learn more about each trade show below or register your books now! The American Library Association Conference and Exhibition is the annual librarian literary love fest. Similar in scope to BEA, without the chaos, ALA plays a matchmaker role between librarians and the insistent publishing industry hoping to woo ordering dollars. As at BEA, Foreword maintains a large stand at ALA to mingle with its readership of librarians, independent publishers, and university presses. Publishers who choose to send their titles to ALA with Foreword benefit from participating in a cooperative stand in the middle of the exhibit hall at the world's number one library show. Publishers can expect to have their titles in front of thousands of librarians. Books are organized by category and presented face out for ultimate exposure along with knowledgeable assistance provided by our staff. ALA is the place to solidify your publishing presence within the North American library market. Books can be registered for a trade show right here. Fee per title is $190. Enter five titles and save $25 per title. Your receipt will contain details about how to get your book to us. If you have any questions, check out FAQ or call us at 231.933.3699. 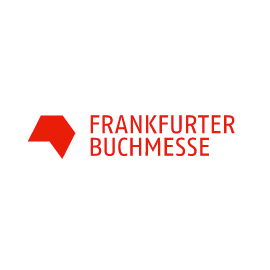 To accurately describe the Frankfurt Book Fair, one word cannot be avoided: "overwhelming." The numbers alone are daunting: nine show halls, more than 7000 exhibitors, publishers from 100 countries, and a stunning average of 280,000 attendees. Luckily, with excellent train / metro services, ample hotel space, and German efficiency, Frankfurt is just the place to pull off such an event. Historically, Foreword's booth has been across from Random House, assuring fantastic traffic. 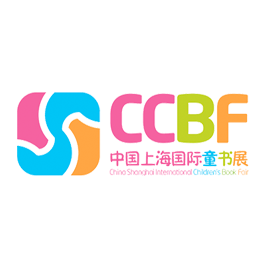 In 2015, in conjunction with our partner, Children's Books USA, Foreword has also booked exhibit space in Hall 3, the exhibit hall for children's book publishers the world over. 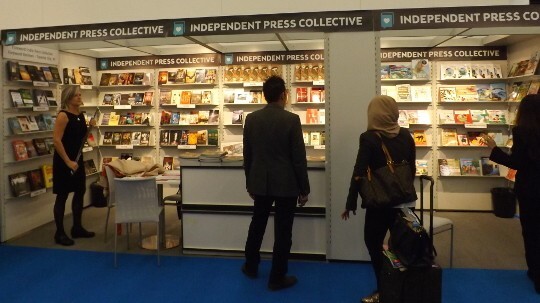 By exhibiting in the Foreword cooperative booth, your titles stand to generate rights interest from any number of publishers (typically, a foreign rights deal includes a non-refundable advance and a royalty rate of 7–8%). So, with no out of pocket expense—except for the exhibit fee to have your title displayed at the Foreword booth—you stand to earn an unexpected windfall. Representatives from Foreword direct visiting agents and reps to the appropriate shelves (books are arranged by genre), pass out literature, and collect business cards and contact information when interest in a certain title is expressed. Foreword will then pass on the contact info to the corresponding publisher. We welcome the opportunity to represent you in one of several ways: showcase each of your titles individually or organize a larger space through our turnkey service, CBUSA (includes reserving display panels or a private booth, bookshelves, tables/chairs, carpet, shipping, registration, and catalog listing). Fee per title is $215. Enter five titles and save $25 per title. You will need to mail a one-page Sell Sheet with your book. You can supply your own or use our service. 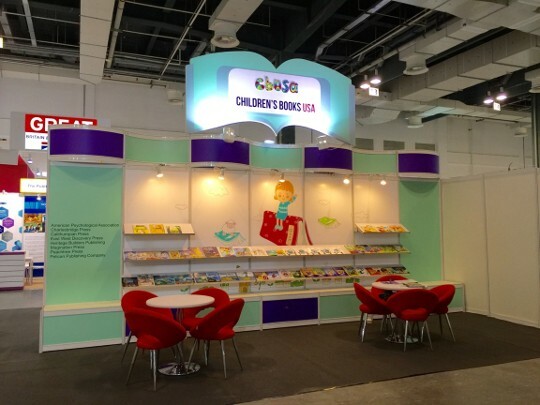 For publishers interested in displaying more than ten titles at one show we also offer customized signage and meeting space for an additional fee. Please contact Victoria Sutherland (victoria@forewordreviews.com) for more information. Books can be registered for a trade show right here. Your receipt will contain details about how to get your book to us. You will need to mail a one-page Sell Sheet with your book. You can supply your own or use our service. If you have any questions, check out FAQ or call us at 231.933.3699. With these statistics in mind, the Chinese government has decided to subsidize a children's book event in Shanghai in November. Organized by GAPP, China's highest authority for the management of publishing (read: government approved), along with China Educational Publications Import and Export Corporation (CEPIEC), attending publishers from around the world will find a very targeted group of publishing houses and agents from China and Asia at large. Foreword Reviews will be there in a promising joint venture with Children's Books USA (CBUSA). For an idea of last year's event, visit this blog post. Based on popular demand, we are adding the annual midwinter meet-up of librarians to our trade show offerings. The ALA Midwinter is the first major library industry event of the new year and presents a strategic and timely opportunity for authors and publishers. Show officials crow that 89 percent of the attendees at the winter event influence buying decisions in their libraries and 64 percent find new companies to do business with based on their time spent in the exhibits. This tradeshow attracts a focused group of over 8,000 buyers from across the United States looking to connect with new books and presenting a cost-effective chance to increase your sales. Key decision makers hold high-level business meetings at ALA Midwinter to address their most pressing challenges and then visit the exhibit floor to find new books for their collections and new products and services for their libraries. 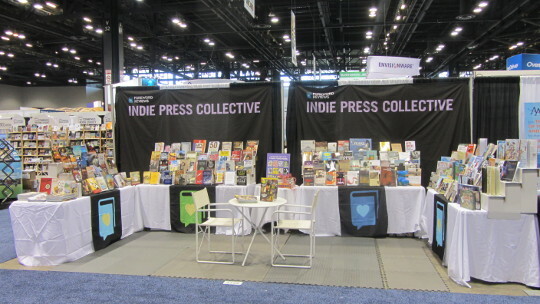 Your books will be displayed face out according to genre in our popular booth devoted to independently published titles. Should your book generate interest, contact info from the library is passed along to you. All publishers that exhibit with Foreword Reviews receive a comprehensive post show report to keep you tuned in to the important library market. After years of receiving review submissions from thousands of publishers, we can often tell what book will be worth reviewing by the peripheral materials provided by the author/publisher. A less-than-professional presentation makes it very easy for a review editor or anyone in the media to quickly move on to another submission. In addition, foreign rights agents won't take a potential project seriously unless an articulate sales piece arrives via email prior to previewing your book. Our award-winning designer has created three templates based on your title's primary sales handle: subject matter, author expertise, art/photography, positive reviews, etc. We have a step-by-step process that will assist you in producing a professional, interactive sales sheet in no time. The price is $199. See examples.